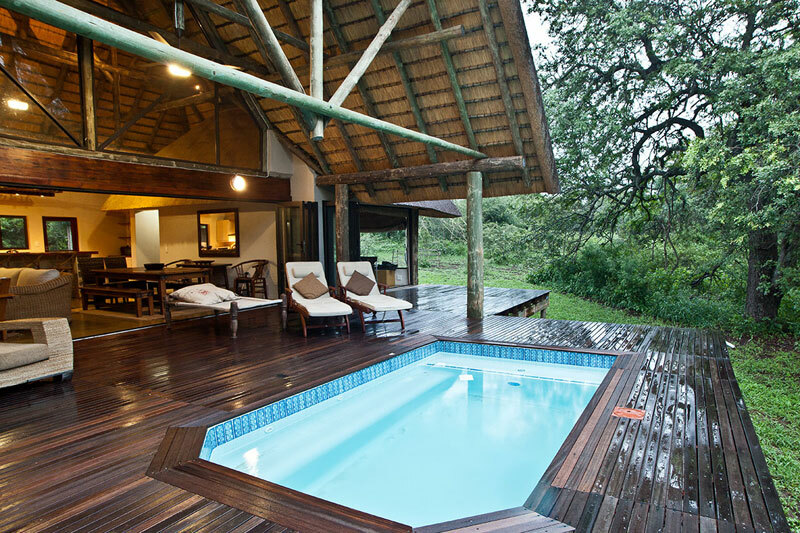 The Best places to stay in Hluhluwe, Kwazulu-Natal ~ Hluhluwe lies in the far reaches of the northern coast of Kwazulu-Natal, South Africa. Its attraction isn’t so much that it’s a darling little town but that it lies in amongst several private, and national, game farms. So if you’re after a heady African experience of the Elephant Coast with access to two of the country’s top national game reserves – the Hluhluwe-iMfolozi and the iSimangliso Wetland Park – then Hluhluwe is where you want to base yourself. As such Hluhluwe is the best possible base for a bush and beach break! The town and its neighbouring game farms gives you access to pristine coastline, soft coral reefs, a plethora of fish and bird species and marine life, sea turtles, snorkelling opportunities, estuaries, big cats, and a myriad other creatures great and small! Where else can you see hippo, crocodile, lion and buffalo in one day? 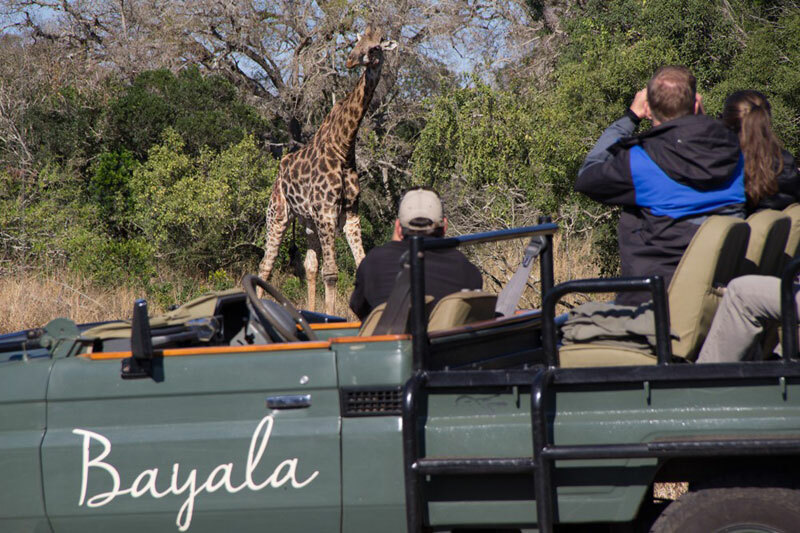 Big forest walks, bird hides, waterholes, savannah scenery, mountains, lagoons, bays, boat cruises, lakes awash with hippos, turtle tours, elephant, black and white rhino, luxury safari camps, African wild dogs, hyenas, cheetahs and world class lodges – we think Hluhluwe has it all. 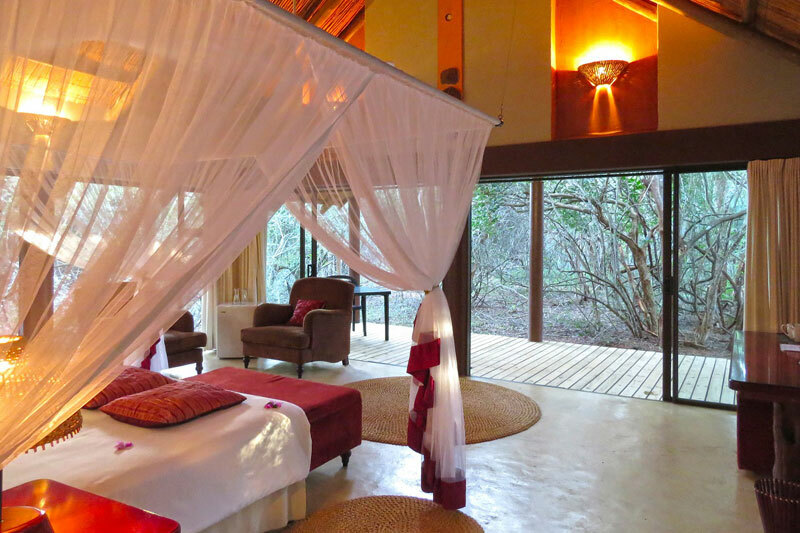 You’re right on the western boundary of iSimangaliso Wetland Park at this lodge, which provides accommodation in 12 thatched chalets in and near an indigenous forest. The forested ravine, but a short walk from the main lodge, has two honeymoon suites, whilst the 8 chalets on stilts with wooden decks and wooden ramps lie in amongst the forest canopy. There are also two family chalets. This private game lodge offers romantic ‘secret forest suites’ at decent prices for an ‘out of Africa’ experience, linked by walkways and hidden in amongst trees and bush. Forest dwellers, like nyala antelope, are easy to spot if you’re quiet (we recommend the honeymoon room in Secrets of the Forest B for its glass walls). The Moon-Rise Deck restaurant provides breakfasts and dinners, whilst access to iSimangliso Wetland Park is easy. For a vivid African bush experience that includes white and black rhino, elephant, and the cough of leopards at night, stay at this intimate lodge. 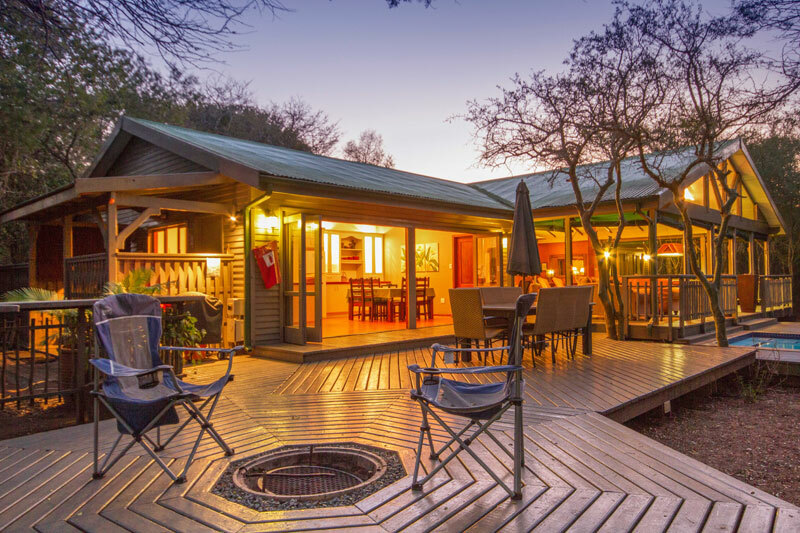 Rhino River Lodge is on a privately owned game reserve with family log cabins or luxury en suite double and twin rooms with their own entrances and verandahs. The boma’s night campfires, the sounds of Africa at night, unpolluted starry skies, game drives and guided walks make a stay here a pleasure. 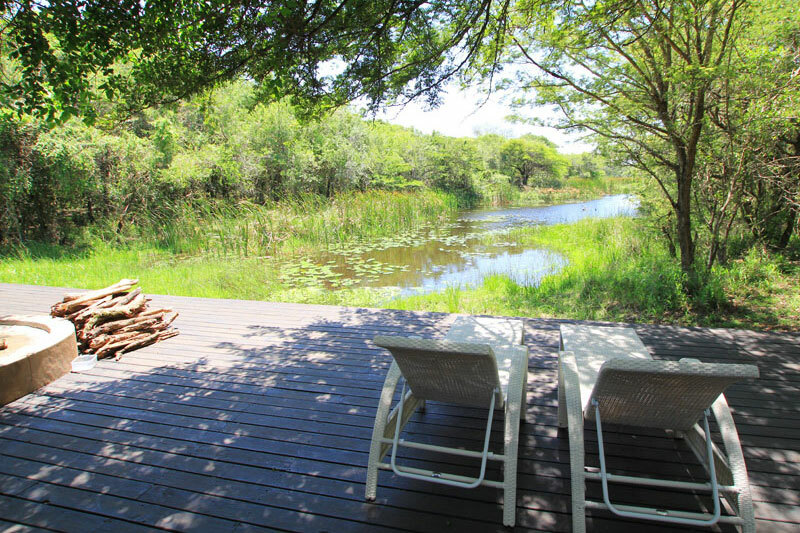 This luxury private retreat in the Kuleni Game Park places you in the heart of the bush with iSimangaliso Wetland Park and Phinda private game reserve your neighbours. 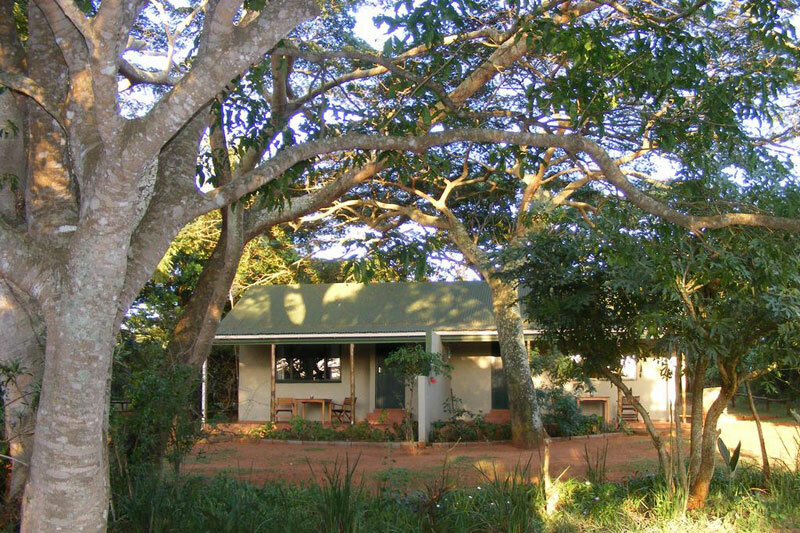 The two-bedroom spacious lodge-style house accommodates four people in two en-suite bedrooms, whilst a further two separate bedroom units, linked to the main unit by walkways, give seclusion in amongst indigenous trees. Kuleni Game Park offers self-guided walking trails, whilst the bigger parks are easy to access from Thornwood. 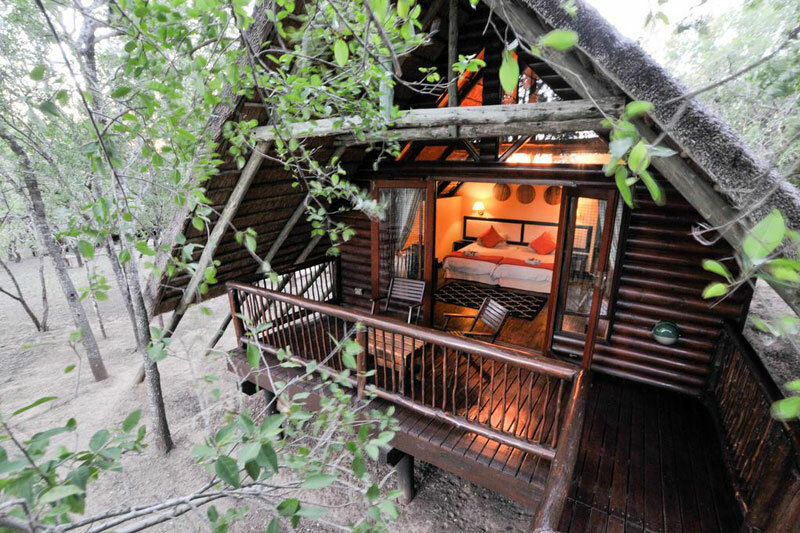 This tented camp in the heart of the uKuwela Wildlife Conservancy just outside Hluhluwe is well worth a second glance. Each of the nine luxury safari tents offers your own private deck, views out onto the bush and an en-suite shower room, whilst the communal areas and evening campfires in the boma mean you can mix with others as you choose. Umkhumbi is the ideal family lodge providing 12 two-bedroom en-suite lodges with interleading doors so that children are close by. Nestled in amongst the bush they’re air-conditioned, come with their own verandah, and include dinner, bed and breakfast. You’re close to Hluhluwe Game Reserve, can take day trips to Kosi Bay or Tembe Elephant Reserve, or arrange to dive at Sodwana. 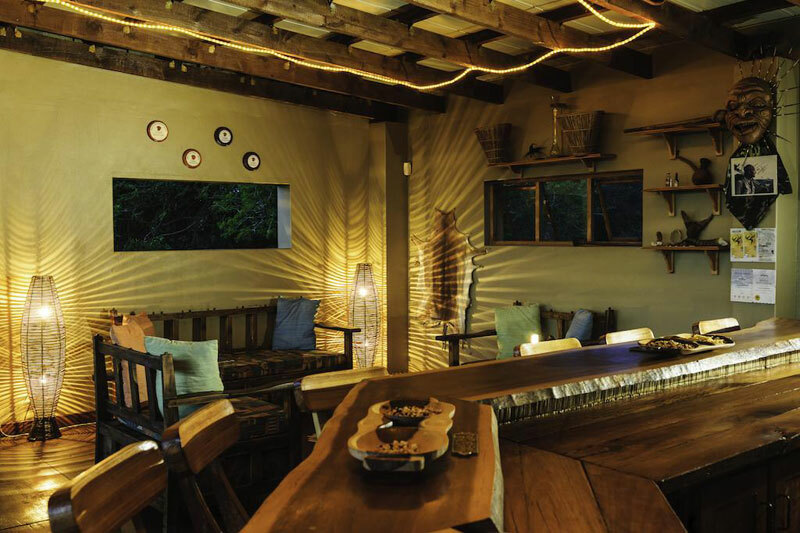 This fully serviced bush lodge lies in the indigenous sand forest of Kuleni Game Park, ideal for exploring either bush or beach. You’ve three ‘lodges’ to choose from: the main lodge sleeps eight in four en-suite bedrooms with deck and boma overlooking the wetlands. The other two lodges sleep two each, the first with a private viewing deck and splash pool, the second particularly private with a view over the wetlands. Sand Forest Lodge offers slightly cheaper bush options in campsites, rustic huts, a twin and double cottage, and a couple of family cottages for those on a budget. The sand forest is yours to walk through spotting duiker, steenbok and Nyala, mongoose, bush babies and the occasional genet, if you’re lucky. 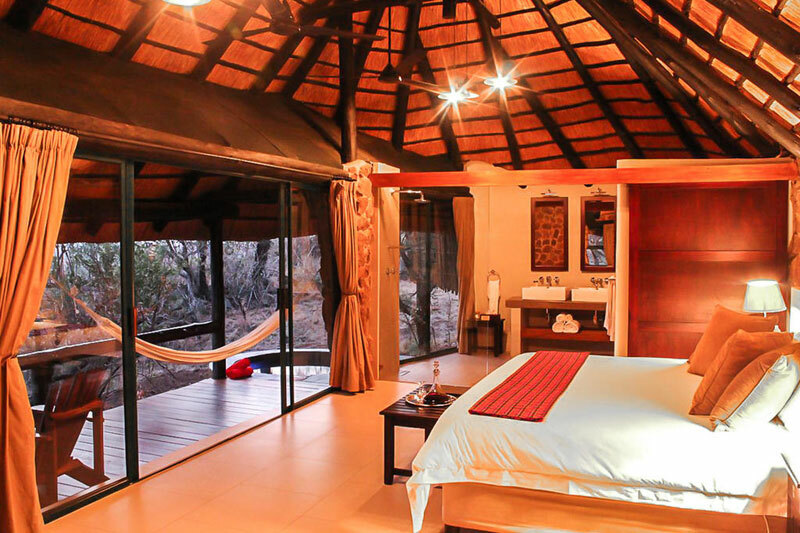 Memorable morning and evening game drives, the possibility of sighting cheetah or the Bayala Pride (three lionesses when we last looked) and other Big Five make this beautiful game lodge and boma a must on our list of best places to stay in Hluhluwe. Staff go the extra mile, the lodge is close to Hluhluwe-iMfolozi and a short trip to Sodwana. Bayala lies in the Phinda private reserve. We’d be remiss if we left this gem off our list of best places to stay in Hluhluwe (despite having reviewed it many times before). 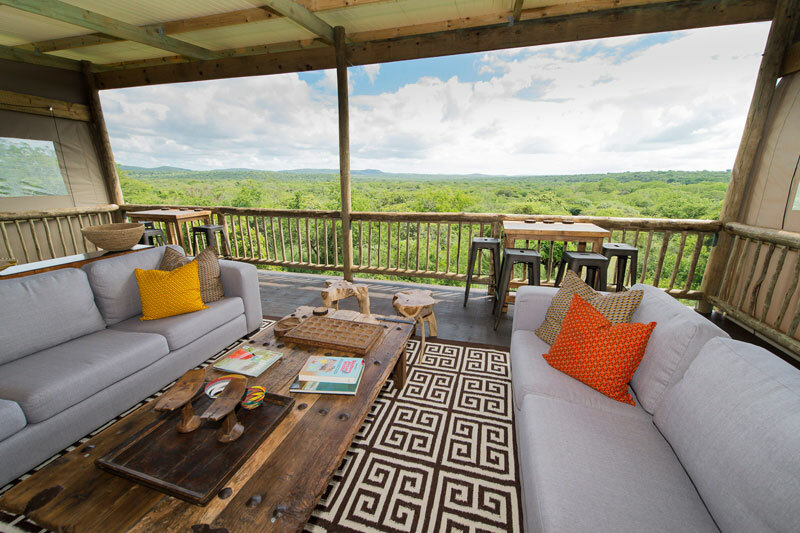 Rhino Ridge gives some of the most superlative views out over Hluhluwe-iMfolozi with beautiful villas, safari rooms and honeymoon villas that offer complete privacy. The communal areas are beautiful, the meals superb and the staff, by all accounts, exceptional. Ask about the turtle watching tours at Thonga Beach between November and March. 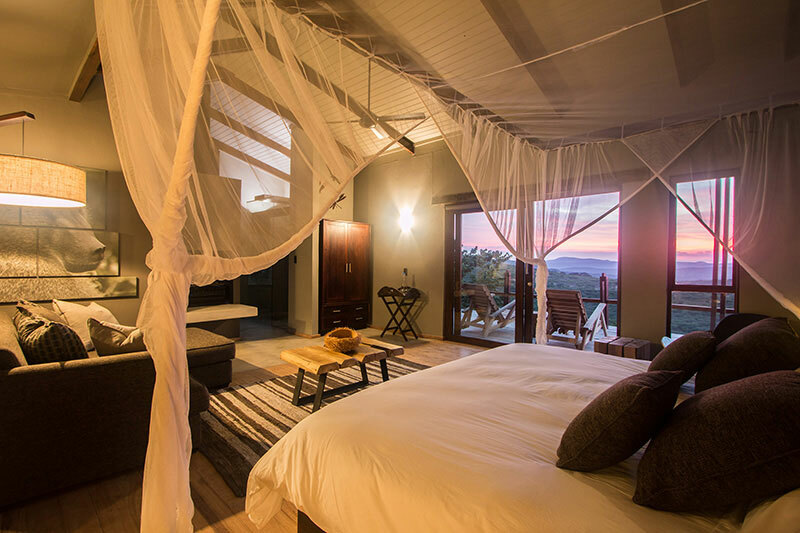 This game lodge sits atop the secluded hills of the Manyoni Private Game Reserve with beautiful views out over the bushveld, mountains and the Umsunduze River. Stone and thatch chalets give you privacy when you need it, but access to Big Five game drives and the sounds of the bush as well. Guided walking safaris are available. The venue is particularly popular with newlyweds on honeymoon.